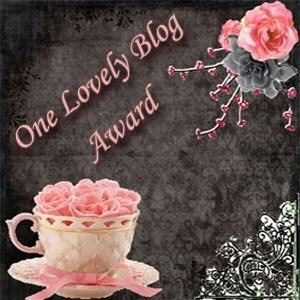 Hey, the talented and generous Chris Allen-Riley has given me the honor of the One Lovely Blog Award. Stop over and check out her blog–she’s going to be one to watch in the YA world. 1) I find chickens to be quite fascinating but ducks really don’t work for me. 2) I spent a brief period as a teenager working at a worm farm filling containers with night crawlers for fishermen. 3) I wrote my thesis on fracture patterns in bone. 4) I desperately wanted twins so I could name them Luke and Leia. 5) I am the youngest of 10 children—and yes, we only had one bathroom in the house growing up. 6) I can roller-skate backwards–not very well–but backwards nonetheless. 7) I did synchronized swimming for 2 years. To pay it forward, I’m tagging a few fabulous bloggers for you to get to know better. Check them out! These totally cracked me up. Especially the one about the chickens and ducks. Thanks! I lol at some of your 7 points…My husband raised worms in the basement the last couple of years, but got sick of it and he dumped them all in the garden. We had a great garden last year! !